First of all, I hope you're having a lovely Easter - wherever you are and whatever you're doing. - but hey, I managed to finish the card without any mishaps by stamping the sentiment, from the Penny Black 'Easter March' set and also a little flock of birds using Clarity stamps 'Small birds'. Phew - the relief! Now onto what you've been up to this last week - once again we have loads of lovely snippets makes - and we have three new playmates, Maudieroff, Asha and Sue. Do please go and say 'Hello', that would be so welcoming. As always, the difficult part is to pick some of the work you've done for 'show and tell'. I'm sure you'll all agree, this is just stunning use of snippets by Darnell! To see HOW it's done, go here - the magic of chevrons. Sue is one of our new playmates and she brought this card and another one. This card shows how even those plain white snippets we all have can be given the 'gilding wax' treatment - brilliant! Cathy R brought us two cards showing great use of snippets this week, link to the first one and link to the second one - I can't pick just one as they're both great and so clever. At this point I have to move on, otherwise I'd be here all weekend typing away - so many gorgeous snippets makes - which you can look back over here. Well done Lynn! Please drop me an email (di_wray@hotmail.com) with your snail mail address and the stamp set will be on its way to you ASAP. This is really a bit spooky, I just checked back over who'd won over the time we've had regular prizes - and each time it's been someone different. Don't let that stop you from still being in the draw, it's just the way the numbers came out of Mr Random - but it's nice that the chances are being spread so well. A set of three Inkylicious dusters (double headed ones at that) - plus the same colour Distress Ink as I use to make clouds, 'Tumbled Glass'. Snigger, I expect you can cut your own template but I'd make some and enclose them if you really were desperate enough to rely on my cutting efforts :) And, of course, think of all the other things you can do with these brushes - not just clouds. Brushing over those snippet 'masks' left after die cutting to name but one use. The Playground is open all of this coming week but it will close on Saturday 6th April at noon, UK time and Mr Linky is below as usual. Just enter a snippets make into the Playground this week and I'll do a draw after the Playground closes next Saturday. But, as usual I am asking for a snippets make please, maximum of three entries and please say 'No thank you' in a comment if you wish to still play but not be a winner of these brushes and ink pad. Enjoy the rest of the weekend, stay warm, safe and have a lovely week! Ooh Miss Di! Beautiful card, I really love it, the sheep are brilliant! Yes, I've been waiting at the gates, peering through to see if anyone was coming along with the keys to let me in! Turned out to be the little sheep who had the keys in their mouths, better check your card, there might be one missing!! Excellent prize, I want to get me some of those when I'm in England. 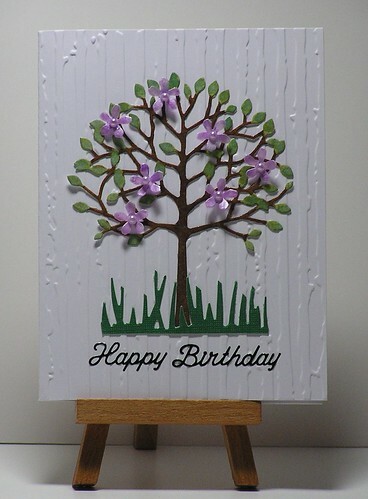 Ewe made this card beautifully. Baaa. p.s Those sheep are roaming all over the playground!! Oh how cute. What fluffy little sheep. If they are on the playground you won't have to mow the lawn for a long time. Happy Easter! No Thank You It's a great gift...but I already have way too much. Your card is fabulous. I think you would enter it in that craft a scene challenges that one of the 2 mother in law WOYWW ladies does. I think it is Shaz silverwolf or something similar...I would look it up but I am shattered...walked my *** off today with those damned poles keeping me company! I hope to play this time. Happy Easter to all here on playground. Di, your card is BRILLIANT, I love your scene and all the elements, but those sheep are my absolute favourite. Happy Easter. I know I don't play in the playground with you, but I had to just pop in and say how much I like your little sheep family. I also use my icisle die for grass but it needs an awful lot of silicone paper behind it to get it out of the die without tearing. 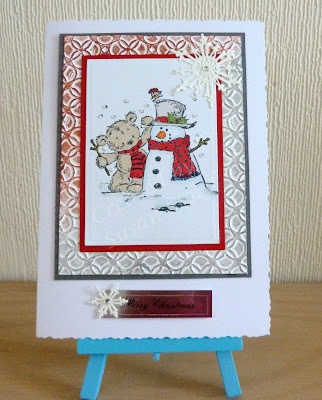 But I love the way you have put the card together and what a great use of snippets. Oh Di - I really have just giggled at your card - I think the eyes of the sheep did it for me! I absolutely love it! I think 'wing and a prayer' cards like this, (when you don't have a real plan) work out really well - I have always liked mine when I start out without a plan. I bet your stepmum thought this was great! Happy Easter! Your snippets card is a smile-maker, Di!! She will love it!! I'll be over soon to pet the little fluffy sheep! Thank you so much for the shoutout in your wonderful snippet highlight section!! No thanks on the giveaway, as usual. See you in a bit!! Loving your Easter card very, very much! Those little sheep are simply gorgeous. Hope you are having a good Easter. Baaarfect caaaaaard there Miss Di! Peeeeeerfect for Easter! I meant to link mine early this morning but in the excitement of Mr Sunshine I ran outside to do some playing at throwing and stacking wood, whilst Mr Hettie was chainsawing and chopping! Yeah! Wood for the next two weeks now! This is just stunning, I love it, brilliant in every way. 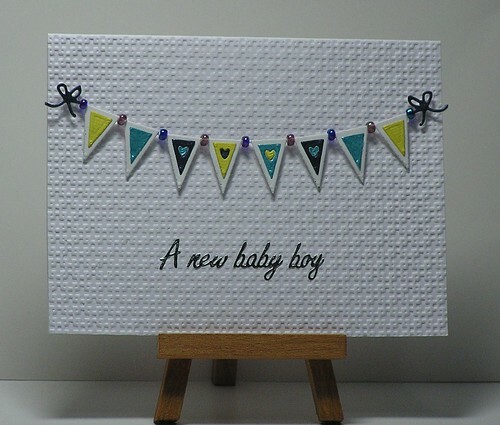 and came across for warning about glue had totally forgotten about snippets but glue warning post came up in dashboard..
Let me know if you would like the card stand...I emailed you...Don't laugh but I found out it does work...I had the cards on it wrong! No thanks for the giveaway... too busy binding things at the moment! Hope you're having fun playing with your new toys! Oh wow! Fab card, Miss Di! Can we have some lambs and chicks in the playground, PLEEEEAAAASE! Sorry I have been away for so long. I didn't run away with the fair, honest! Thanks for joining our Spring challenge at Use it Tuesday this week. Baa utiful card! Still not really forgiven you for the April fool-you should have seen my face! I'll say no thanks to the dusters as I have some, and I will let another peep have a go for them. This is so sweet, love those sheep! Thanks for joining us at Use it Tuesday! No WOYWW this week for me either. We are in the midst of a huge overhaul in our garden. Seems like 7 zillion perennials need dividing! DH digs them and I sit at the table and divide them...dirty, boring work but somebody's got to do it...sigh...rather be crafting! Amazing how since he retired he thinks of so many projects that require my input!!! 3 out of 3 entries this week! Teacher's pet! Oh my goodness, you little lambies are so stinkin' cute with their big googlie eyes! Adorable card! Congrats to your notable winners from last week too! What wonderful creations!!! Loving the furry lambs (do lams have fur??) very cute! Never mind about the sheepies, have you seen wot the wabbits are up to in the playground? They have sticky tape and glue everywhere!!! hugs Mrs A. Sliding in under the wire in the last 4 hours. Whew! Love the fuzzy googlie eyed sheep! Great card. I'm with you--I don't usually leave the sentiment for last as that way lies madness (and mistakes).